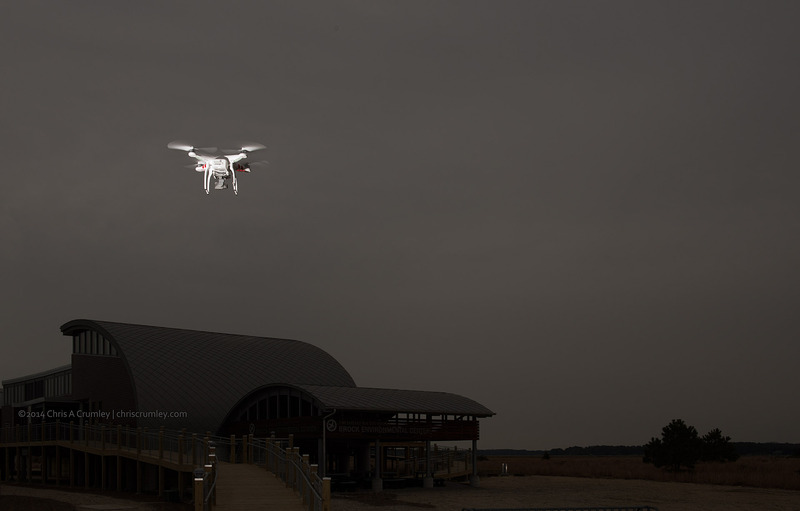 Flying the DJI Phantom 2 Vision+ at Brock Environmental Center in subdued ambient light adding light to the Phantom. I was experimenting to perfect this kind of light for an upcoming project. You're maybe thinking nighttime pizza or Uncle Harry's Frozen Ice Cream Cakes by drone. Nope.